Hex Head Hollow Stoppers 24/40 Joint Laboratory Glassware (15) . New Life Scientific, Inc. 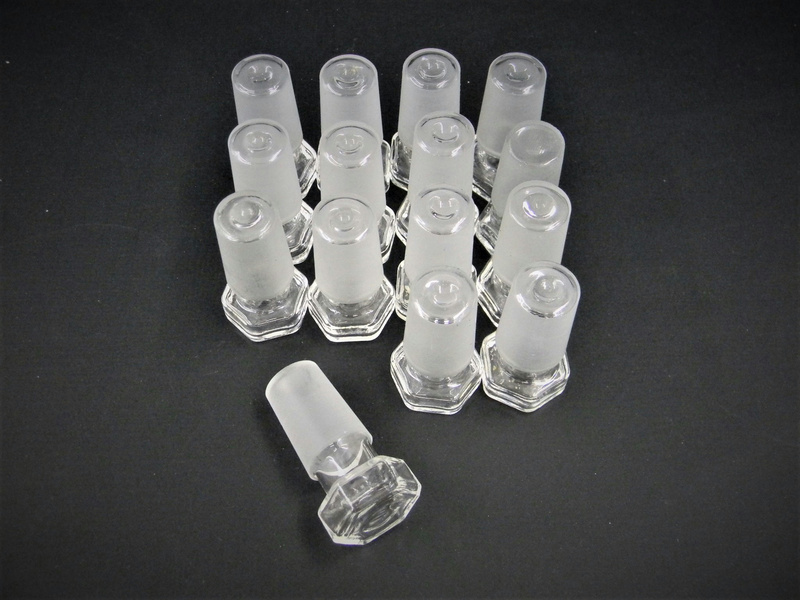 These are hex-top glass stoppers that were originally acquired from a US pharmaceuticals lab. There are no visible cracks or chips to the glassware that would hinder its efficacy.